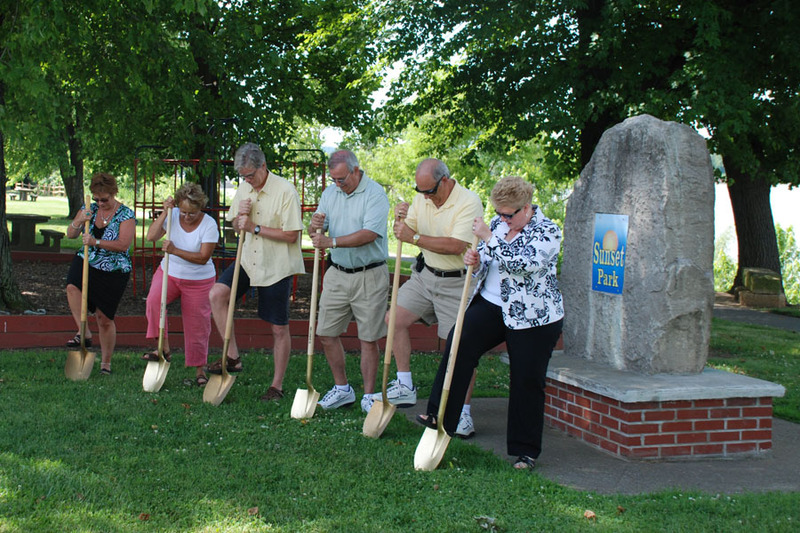 Tell City Mayor Barbara Ewing and the Perry County Greenway Committee recently held a groundbreaking ceremony at Sunset Park in Tell City, the site of one of the trail heads for the new Tell City Riverwalk. Members of the Mayor’s Office, the Greenway Committee, the Common Council, the public and contractors involved in the project were on hand to celebrate the ground breaking of this important project. 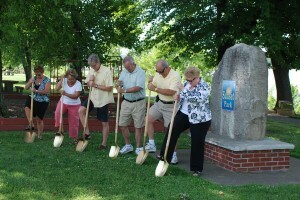 When completed, the Tell City Riverwalk will wind approximately one mile down the scenic Ohio River banks in Tell City. J.H. Rudolph & Co., Inc. will be completing the preparation and paving work on the project, which is scheduled to begin June 22, 2010. J.H. 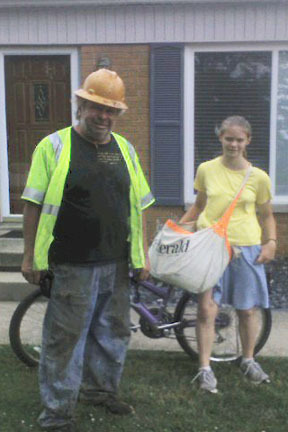 Rudolph & Co., Inc. employee Randy Schaefer came to the rescue of young Huntingburg resident, Joanna Ballard, while she was trying to cross Chestnut Street in the quaint Southern Indiana town last week. 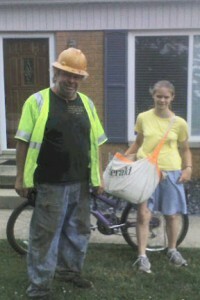 Schaefer towed the bike across a patch of freshly laid asphalt for Ballard, who was busy delivering the DC Herald on her brother’s paper route in the neighborhood. J.H. Rudolph & Co., Inc. is working as a subcontractor for Crider & Crider on the project. You are currently browsing the J.H. Rudolph and Co., Inc. blog archives for June, 2010.